On-demand delivery service Deliveroo has secured $70m Series C investment in a deal led by Greenoaks Capital and Index Ventures, alongside existing investors Accel and Hoxton Ventures. 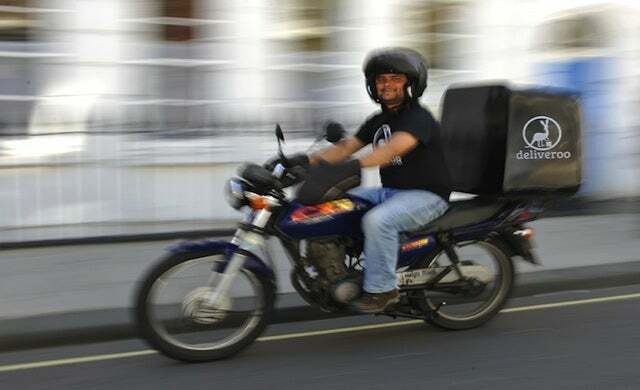 Launched in 2013 by Young Guns William Shu and Greg Orlowski, Deliveroo partners with high-quality restaurants that typically don’t offer a takeaway service, allowing consumers to get meals delivered directly to their door in what it claims is an average of 32 minutes. Customers can order via the website or mobile app from over 2,000 local independent and chain restaurants including Michelin-starred Trishna, Gourmet Burger Kitchen (GBK), MEATLiquor and Wagamama. The company – which targets areas with a high population density and quality restaurants – claims its service can help restaurants generate revenue increases of 30% or more. The Series C round follows a $25m Series B investmetn in January and will be used to fuel further international expansion into new markets in Europe, the Middle East and Asia, as well as fueling development of its technology, operations and marketing. Deliveroo has now launched operations in Berlin, Paris and Dublin, and has extended its reach to 18 towns and cities in the UK. “We’ve seen huge demand for our service from customers and restaurant partners alike. Although we’ve grown rapidly since inception, we’re extremely excited to be entering into the next phase of our ambitious expansion strategy.